Grave Encounters 2 proudly displays the new tagline “Just when you thought it was over… they found more footage”. This new tagline for Grave Encounters 2 is plastered all over the recently released teaser poster. 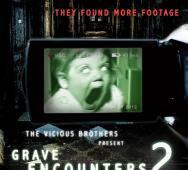 The Vicious Brothers will not be returning to direct the sequel but instead they will be writing Grave Encounters 2. The new director will be John Poloquin. The official photo from Crawlspace has been released. Crawlspace is being directed by Justin Dix. Greg McLean and Red Hill producer Craig McMahon will be the executive producers of this horror film. This will also be Justin Dix feature debut. Previous works include Storm Warning, Long Weekend and Red Hill. 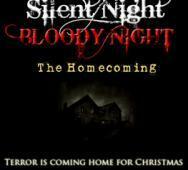 Silent Night, Bloody Night: The Homecoming is a U.K. based remake often confused with the Anchor Bay remake Silent Night, Deadly Night. This remake will be directed by James Plumb. Chernobyl Diaries has released the new international poster. 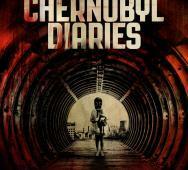 Chernobyl Diaries comes as an original story from Oren Peli. Peli terrified audiences with Paranormal Activity. Six tourists hire an “extreme tourist” guide to take them into the city of Pripyat. Pripyat is the former home to the workers of the Chernobyl nuclear reactor. This is the very same town that was devastated by the nuclear reactor leak more than 25 years ago. The abandoned city soon traps the tourists with a level of scary that I have not seen in a while according to the horror trailer. 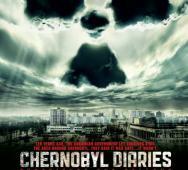 Chernobyl Diaries will be released in the U.S. on May 25, 2012. The Raven will be hitting theaters this Friday, April 27th 2012. 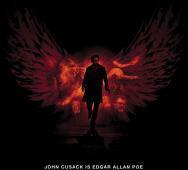 John Cusack will be playing Edgar Allan Poe and from what I hear, this horror movie is one to see. A serial killer has become inspired by Edgar Allan Poe’s masterpieces. Let’s get some of the details before we head to the theaters. Producer Roland Emmerich from films such as Independence Day, 2012, The Day After Tomorrow to name a few will be working with Tim Fehlbaum to bring us Hell. We should have more news coming along in upcoming weeks but here is the poster for now. 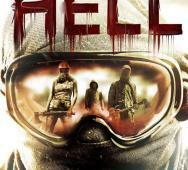 Hell will be released on video-on-demand (VOD) on August 9, 2012 and available on DVD on August 21, 2012. Hell stars Hannah Herzsprung, Lars Eidinger, Stipe Erceg, Lisa Vicari, and Angela Winkler. The Pact 2012 looks great and I can’t wait to see that horror movie. We now have the U.K. poster, the official trailer and photos. Nicholas McCarthy’s upcoming horror movie stars Caity Lotz, Kathleen Rose Perkins, Haley Hudson, Sam Ball, Agnes Bruckner and Casper Van Dien. Chernobyl Diaries with the tagline “Experience the Fallout” has just released a biohazard of a poster for the upcoming horror movie. I have been wanting to watch this horror movie since I saw the trailer. Chernobyl Diaries will hit theaters this May 25, 2012. Paranormal Activity’s Oren Peli has penned this original story and this film just may make it to the top horror movies of 2012 list. 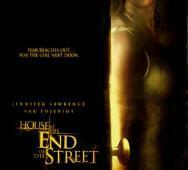 Check out the new hi-res Poster for The House at the End of the Street. Coming to theaters this September 21, 2012. Jennifer Lawrence looks awesome in this poster focused mainly on her. This scary movie is something to look forward to in upcoming months. 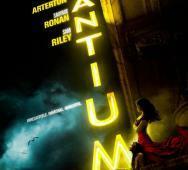 Neil Jordan, director of Interview with the Vampire, has a new vampire horror-thriller sales poster for Byzantium. Starring is Gemma Arterton, Saoirse Ronan, Sam Riley, Jonny Lee Miller, Caleb Landry Jones and Danny Mays. The Pact looks fantastic and might be one of my best horror movies of 2012 picks. The UK poster has been released and it is clear that it draws much inspiration from The Frighteners and The Nightmare on Elm Street. The Pact will be released here in the U.S. July 6, 2012 and in the UK on June 8, 2012. Stag Night of the Dead will now be coming to the U.S. from it’s British release. Director Napoleon Jones bring us this British zombie comedy. You can find Stag Night of the Dead on Amazon and iTunes for purchase. Everyone knew that we will finally be meeting Jeremy and Elena’s parents and Aunt Jenna. 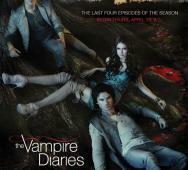 This Season 3 season finale of horror vampire TV show The Vampire Diaries The Departed details are all below. 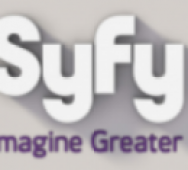 The scoop on CW‘s Supernatural is that the fan fave horror TV show will be airing an extra episode this season thus ending a week later then the rest of CW’s network TV shows. 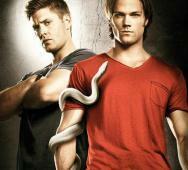 Below is Season 7 Episode 21 summary for Supernatural. Asylum is already bringing us Abraham Lincoln vs. Zombies and now Nazis at the Center of the Earth. Their lineup is getting stronger and we can only imagine what will be next. 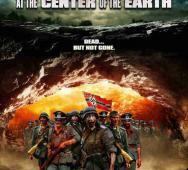 With Nazis at the Center of the Earth scheduled to be released April 24, 2012; you can see the final full trailer for this zombie horror movie. IFC Midnight has just acquired the U.S. rights and several International territories for Area 407, formerly known as Tape 407. Area 407 looks like a good horror film and definitely worth a watch. Sierra Affinity has just dropped the first ever photo of The Colony starring Laurence Fishburne, Bill Paxton, Kevin Zegers. Script made by Patrick Tarr, Pascal Trottier and Svet Rouskov and directed by Jeff Renfro. Shooting for The Colony began last month. Movie Mogul Ltd, better known for horror thriller Panic Button has announced their new horror film Monster Project has gone into development. 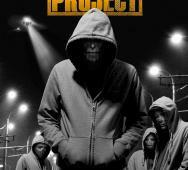 Monster Project is described as a “cross genre” film. Six teenagers undergo a mysterious transformation thus turning them into unique monsters. Each teenager has different abilities and ailments. To make things worse, they must join together to go on the run and fight for their survival. Empire has just premiered the official UK one-sheet for Abraham Lincoln: Vampire Hunter. Featuring the “flaming train” that is prominent in the film and previews that we have been watching. 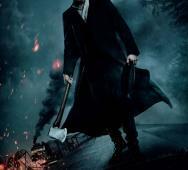 Abraham Lincoln: Vampire Hunter will hit U.S. theaters June 22, 2012 and the U.K. August 3, 2012.